KATHMANDU, Dec 10: Nepali Congress (NC) President Sher Bahadur Deuba has stated that the objective of the registration of the constitution amendment bill was to maintain national unity by forging a consensus among one and all. 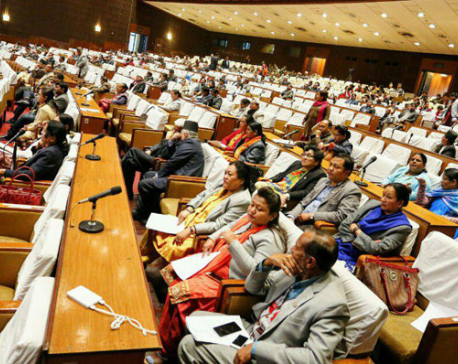 Inaugurating the 43rd national convention of the Nepal Jaycees at Tokha in the Capital on Saturday, NC President Deuba weighted that the Madhesis are also Nepali and they should not be distrusted for he argued that they want to live as a Nepali citizen. 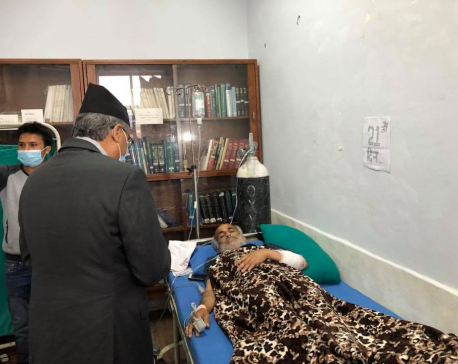 Deuba, also the former Prime Minister, further said that no one should ensue conflict between the Madheshi community and people in mountainous region in the name of nationality. 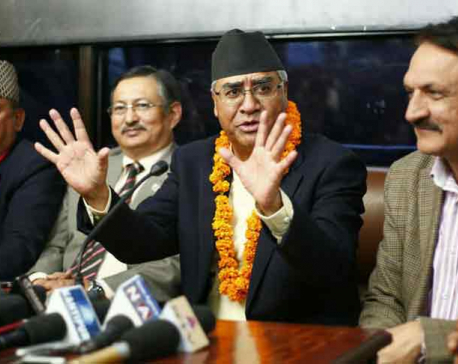 Referencing the objection of the major opposition CPN-UML on the newly registered constitution amendment bill, Deuba claimed that it was a conspiracy to create enmity between the Madhesi community and people of mountainous region. Similarly, UML General-Secretary Ishower Pokharel concluded that the country has plunged into a deep crisis with the registration of the constitution amendment bill.